Rocking the house in Jerusalem! 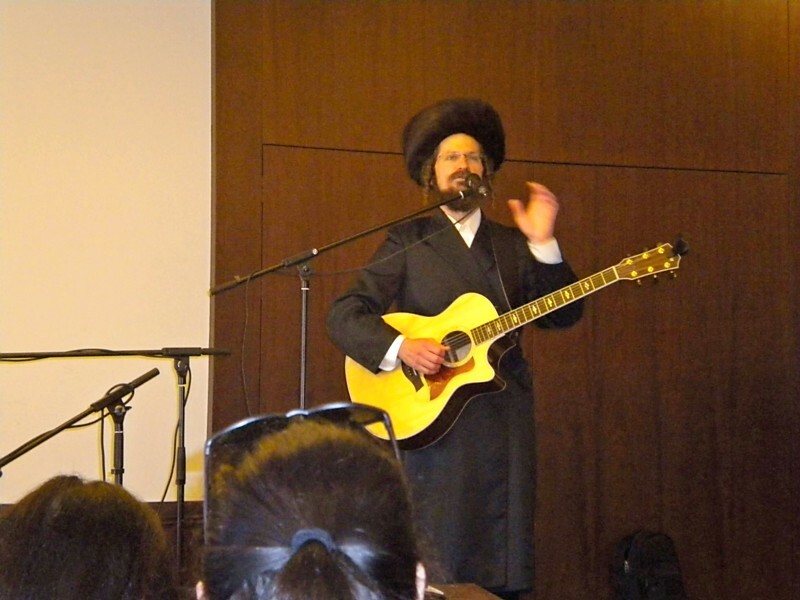 Our pre-Shabbat concert with Yom Tov Glaser was more fun than I could have imagined! 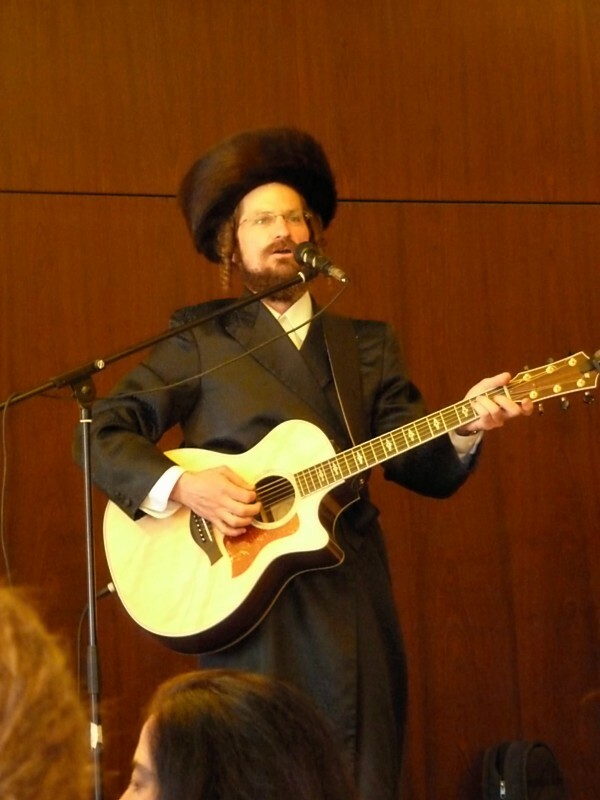 Yom Tov Glaser was born in Hollywood, California. He became a surfer at a young age. He traveled often on surf expeditions. Another hobby of his is extreme mountain biking. He is also a musician. He made aliyah in 1991, and studied at Aish. After some six years of study, he received ordination. 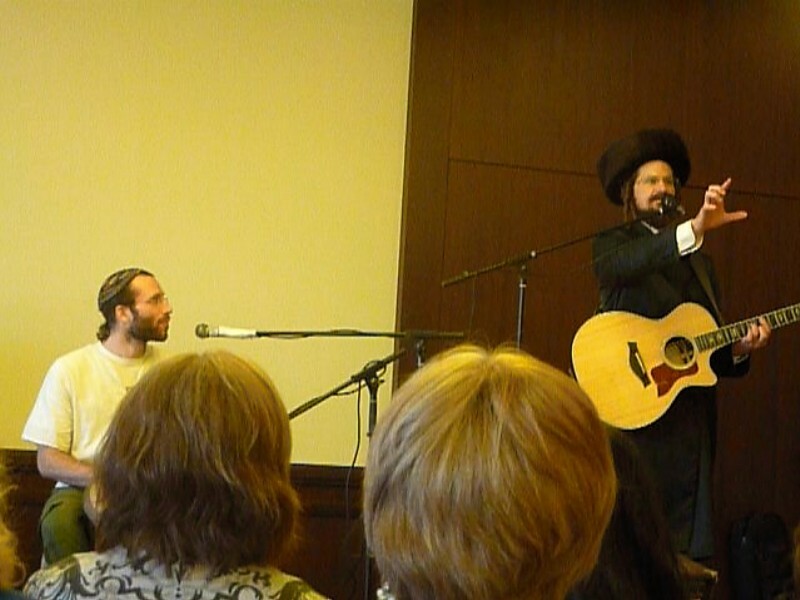 He davens at the Pinsk Karlin shul. Matisyahu also davens Karliner. 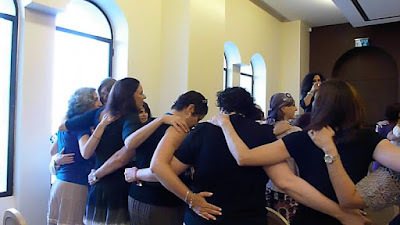 This is a sect of Hasidim that is known for two things: their exceptional hospitality and their enthusiastic prayers (that is code for prayers being screamed at the top of one's lungs). I have never witnessed nor experienced such prayer, but I would imagine that it snaps one into staying in the moment. Yom Tov is a tall skinny guy with long, curled payes and a big hat. He dressed in a black suit and had only a drummer as an accompaniment. He played -- we danced! He played some more -- we danced some more! Great fun!!! I couldn't find the 2011 early July trip video of the Yom Tov Glaser concert, but I was able to find one from last year. So, just imagine same musician, different crowd (and our crowd danced much more vigorously than the one shown)! 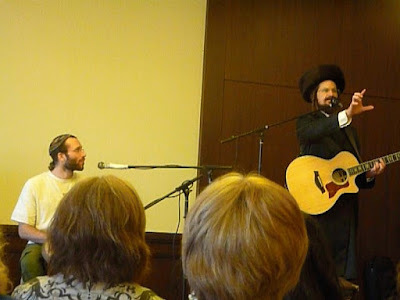 This pre-Shabbat concert really set the mood for Shabbat. After the concert, full of energy and longing for Shabbat, we lit candles and then made our way to the Kotel. That experience will be my next blog entry!